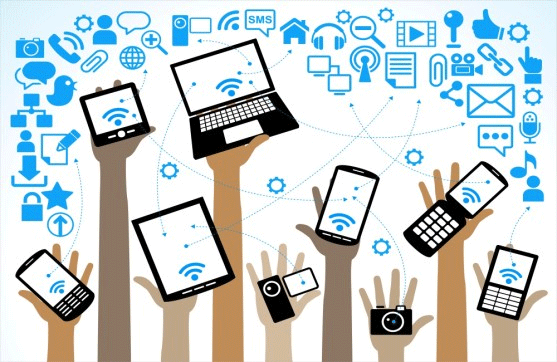 Is there a BYOD Policy in your Organisation? Industrial paper shredding services that destroy confidential documents is a common practice for businesses and organisations. Data can be read on paper but also on electronic devices. We live in a world where there are more mobile devices than people in circulation and protecting this format of data must become common practice. How well do you manage your policy? BYOD might be convenient for the employees but it brings additional risk of data breaches to the workplace. BYOD refers to employees using their own smartphones, tablets, PCs, and other mobile devices, for work. “The issue with BYOD is that it multiplies the number of networks, applications, and end points that company data may be accessed through.” If employees access their work emails via their smart phone the organisation still has a high risk of a data breach. Therefore it is recommended that all size organisations become increasingly more pro-active regarding the use of BYOD to access work data. Create BYOD policies, such as limiting the amount of client information in emails, mandating a start-up password and inactivity time-out, and having data encryption. Work with IT professionals to put security policies in place. There are more policies that can be incorporated that may better suit a companies needs for data security. As a result of putting these measures in place you are protecting the organisations sensitive data and you business. Consulting with one of our data security experts at Security In Shredding. Data security is vital for our company to succeed and educating staff and clients on data security is paramount. Shredding confidential paper is just a part of our business, enquire about our media destruction service with one of our staff.